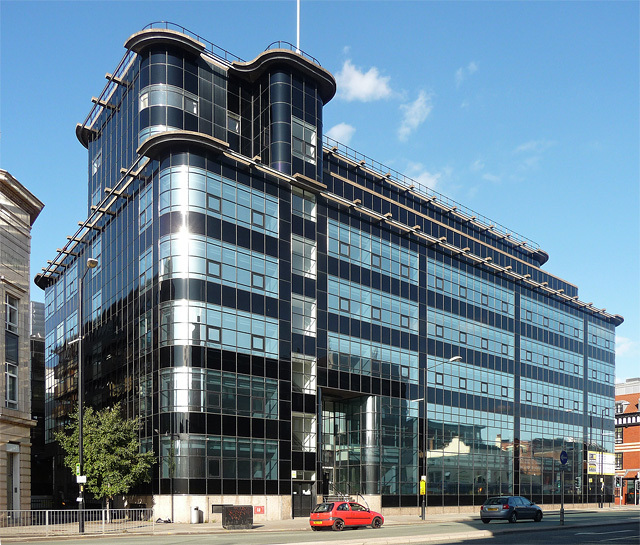 This may be one of the finest modern buildings of the 20th century. Any ideas? Periodically, I like to revisit one of the assumptions of this project: that architects are at their most interesting, their most intriguing, in either of two conditions: 1) when they have designed a series of buildings of similar size and type; and 2) when they have design a unique example of any given type. 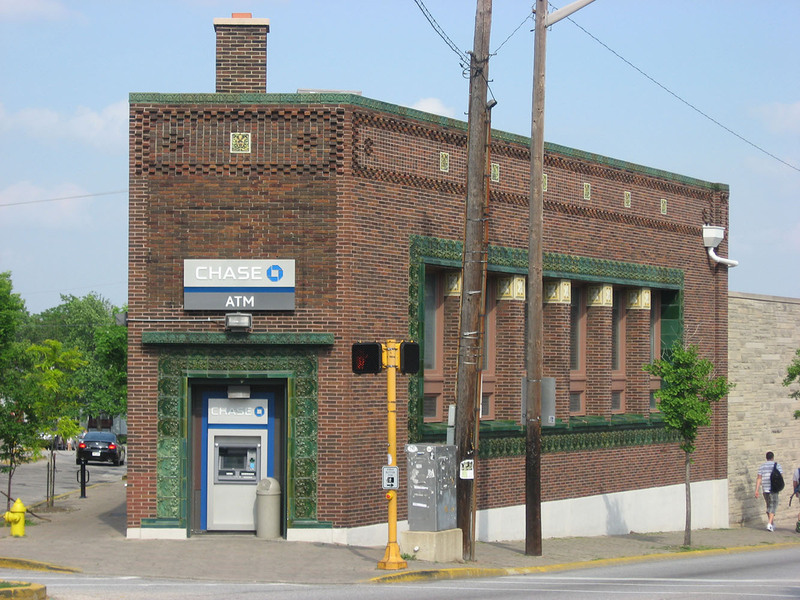 Louis Sullivan, for example—the Founder of the Feast hereabouts—designed a series of small banks in small Midwestern towns during the years 1908-1919. Three are in Iowa; two in Ohio; and one each is in Indiana, Wisconsin and Minnesota. Individually, each is a highly personalized variant of a familiar theme for banking institutions of the late 19th and early 20th centuries. Collectively, however, they afford us tremendous insight to the designer’s mind as he/she engages what might, under ordinary circumstances, become just one more iteration of the formula at hand; they let us glimpse Sullivan’s mind, his nested pattern of choice in making design decisions. The tea was refreshing, and the leaves tell a nuanced story. Carnegie libraries are such a familiar type; architectural counterpart to the literary idea of trope. In that same period, they were also more likely to receive formulaic treatment than most other building types. 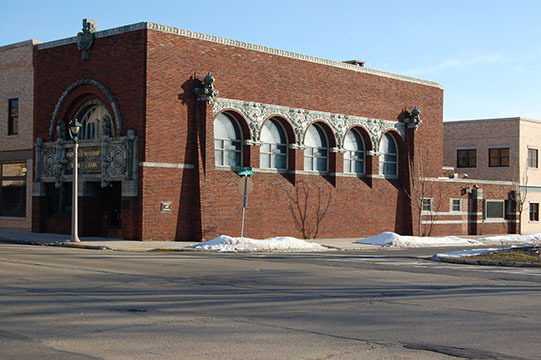 Conventional wisdom has it that Andrew Carnegie provided a basic set of plans for all libraries he funded; that Carnegie libraries are, in fact, identical. Nothing of course could be farther from the truth. But what of the second condition mentioned above: the architect who designs only one of something. 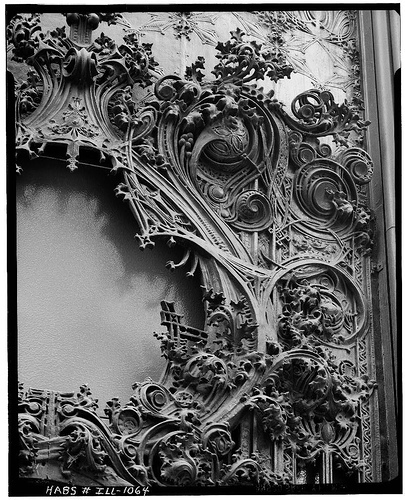 How might Louis Sullivan have dealt with the quintessential formula of his time—the Carnegie-era public library—and avoided the cliches we find so prevalent? Indeed. It was especially curious to me that he hadn’t been asked to design one. Sullivan had been, after all, working in communities of the right size and disposition to have sought a Carnegie-funded library. His banking clientele were precisely the sort to be on committees, boards and agencies planning such a civic undertaking. 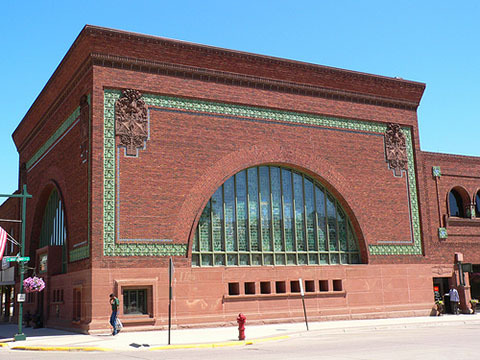 The more I’ve pondered this, the more intriguing the question becomes: How would Louis Sullivan have approached the problem of the small public library? I have grappled with this question for many years, but only in graphic non-verbal ways. And as a teacher of architecture for more years than that, I also know that words can obstruct design thinking. So the “essay” I have in mind may be counterproductive; an excuse to not design. Let’s hope otherwise. PS: Next Fall semester I’ll have a third-year design studio. Would it be cruel to put this question to them? Fraternal and sororital organizations represent just one of the many ways that we associate with one another. Some exist at the national scale (and beyond) like Masons, Eagles, and Elk; some were only regional or local. A few are religiously based (Knights of Columbus); some occupational (Foresters, UCT); some ethnic. Then there is the Ku Klux Klan which was, much to our embarrassment, a Yankee institution. Most lodges made distinctions in gender; some in age. Members of the Order of DeMolay, for example, are young men who may eventually “graduate” to become Masons. 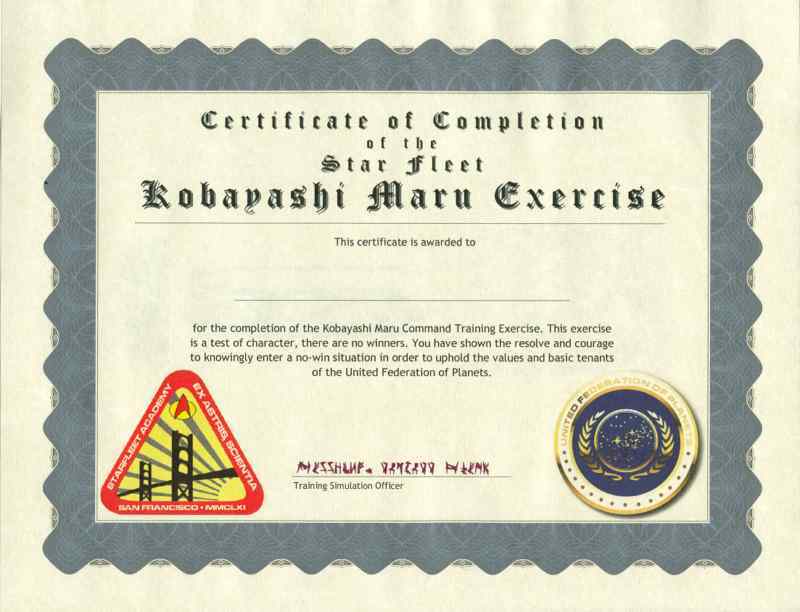 The female counterpart to Masonry is the Order of the Eastern Star, and its members often come from among Job’s Daughters. But most of these organizations cut across divisional lines of religion, ethnicity, and income to help unify what might otherwise have been fragmented communities. Ancient Free & Accepted Masons or the Masonic Lodge would have been present in Agincourt from the beginning. Their presence is implicit in virtually every endeavor during the community’s one hundred and sixty year history. Relationships forged in these fraternities built business alliances and laid the foundation for political careers. Whether I’ve mentioned it or not, assume it’s there. Agincourt’s 19th-century lodge hall stood at the northeast corner of Broad Street and Agincourt Avenue, until a New Year’s Eve celebration brought the building down: a tragedy, to be sure, for the Masons but a window of opportunity for the library board who acquired the site for a new library already in planning. TEMPLE AT AGINCOURT TOTALLY DESTROYED BY FIRE YESTERDAY. Agincourt, Jan. 1. — The Masonic temple building here was destroyed by fire of unknown origin yesterday. 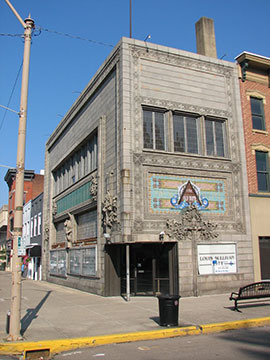 It contained the Dodge theatre and offices of the Standard Oil Company. The loss is estimated at $40,000, most of which is covered by insurance. 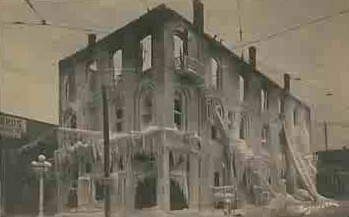 The firemen were handicapped in their efforts by the intense cold, the temperature being 20 below zero at the time. Post-fire investigation revealed that the loss resulted from an undetected kitchen fire after the party goers and staff had gone home. A life-long resident of Cincinnati, Charles Svendsen began private instruction in art at the age of six. Later he studied at the Cincinnati Art Academy and in the Academy Julian and Academy Colarossi in Paris. Svendsen received a bronze medal at the St Louis World’s Fair. 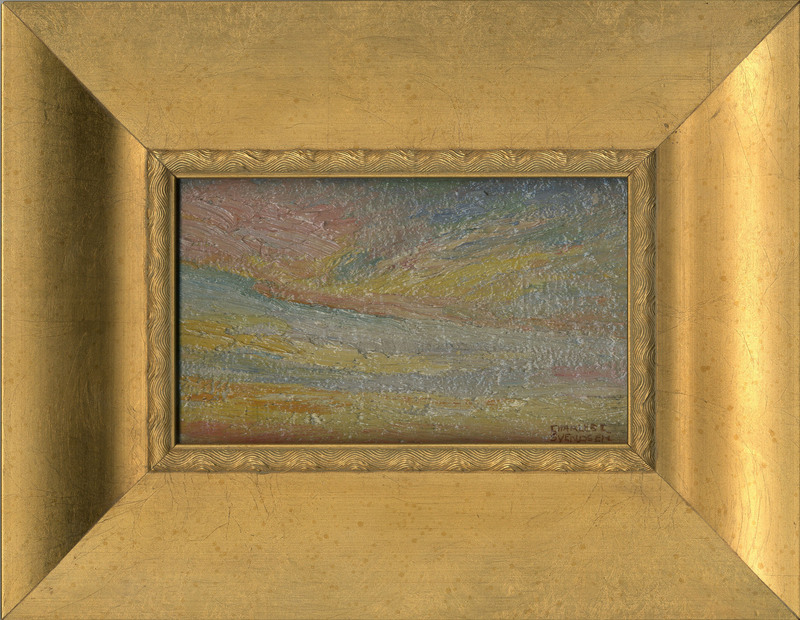 Though he specialized in religious themes, landscapes figured prominently in Svendsen’s oeuvre, such as this pair of cloud studies which may have been intended as sketches for larger works. 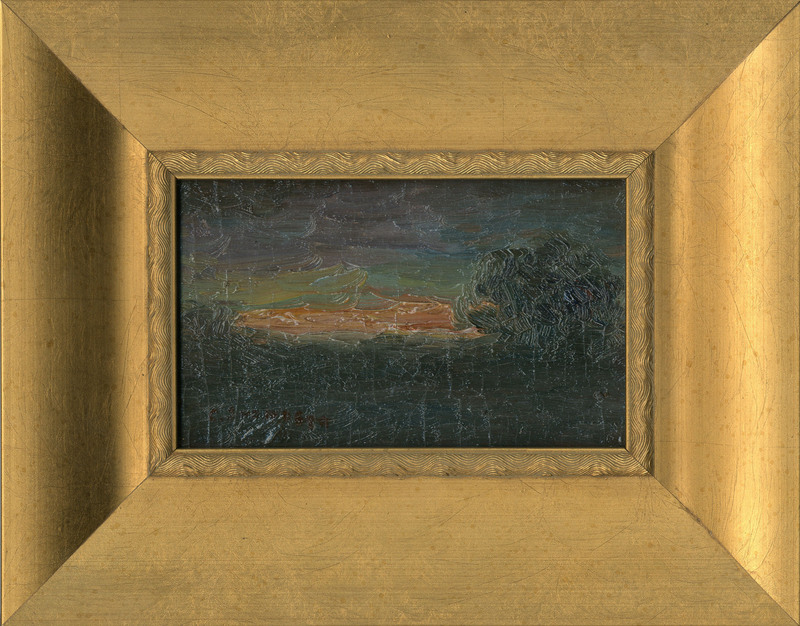 His ability to convey the power of the sky, daily rising and setting of the sun, attests to Svendsen’s skill. They once hung on the walls of James and Martha Tennant’s home on Second Street NE. A part of the original GAR exhibit of 1912, they were given to their son Anson. After young Tennant’s disappearance in 1915, his family gave the paintings to the newly formed Community Collection as a memorial. 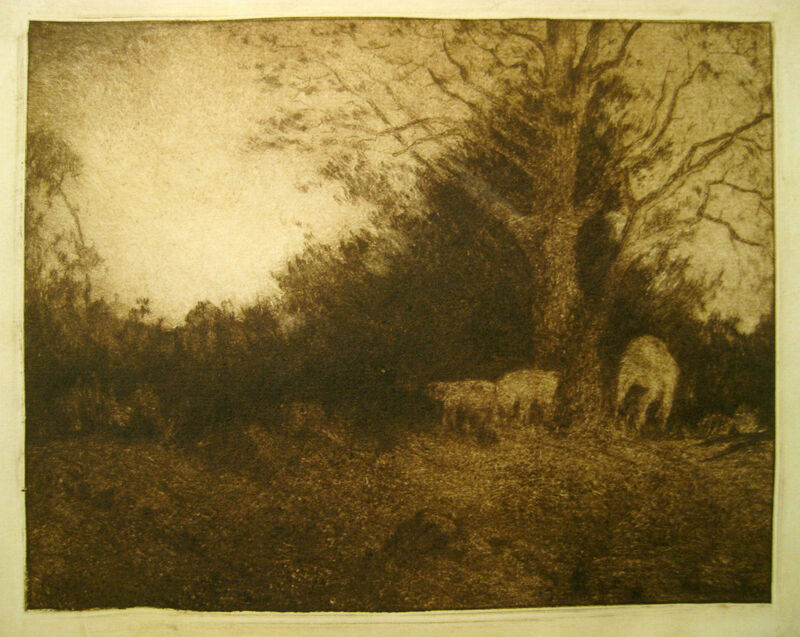 If the Community Collection is a reflection of Agincourt’s understanding of art as a cultural construct, then this etching by Walter Breene may be among its most central, most typical works—a cautious claim, indeed, because the collection and the community that shaped its content have each been a moving target. Irish-born Breene emigrated to the U.S. in 1904 and located first in San Bernardino, California, then later in San Diego. * City directories indicate Breene worked the majority of his life as a clerk in dry goods and department stores. 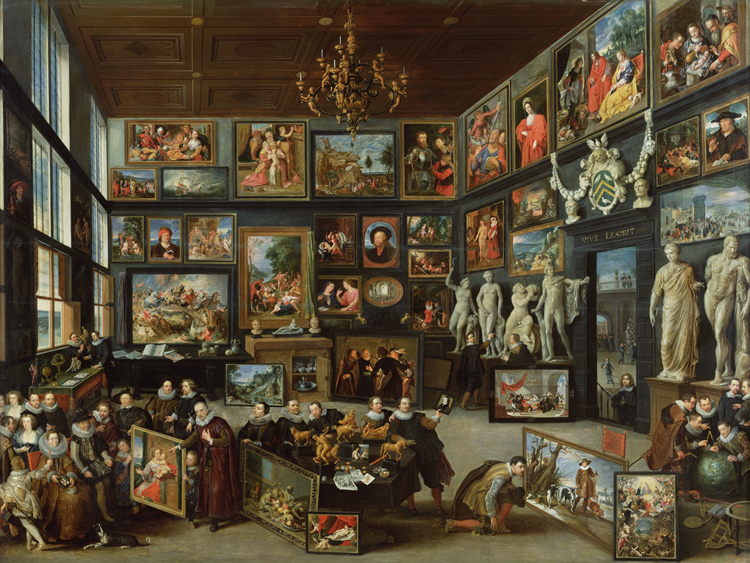 If art was merely an avocation, we should be grateful. *On-line and one published source not consulted suggest that Breene did not emigrate until the 1930s. Genealogical sources, however, clearly put his arrival at the Port of New York in 1904, with a stated destination of southern California. Among his fellow passengers was a Miss McInerny, sister of the McInerny & Co. dry goods merchants in San Bernardino who were Breene’s earliest employer. 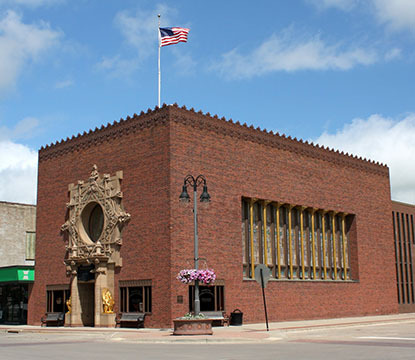 When Halsey Wood’s design for the second Fennimore County courthouse was built in 1889, a generous corner of the main floor held a meeting room for the Grand Army of the Republic. Other than its monthly meetings, however, many others enjoyed the hall’s wood-panelled Medievalism, for the G.A.R. 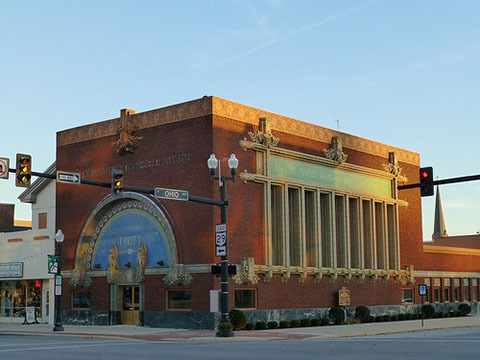 Hall became (along with Kemper Hall and the old Masonic Lodge that once stood on the public library site) a focus of civic life: a place for exhibits, lectures and debates, public meetings, etc. It also held Agincourt’s first public art exhibition—what came to be called the G.A.R. Exhibit of 1912. The G.A.R. 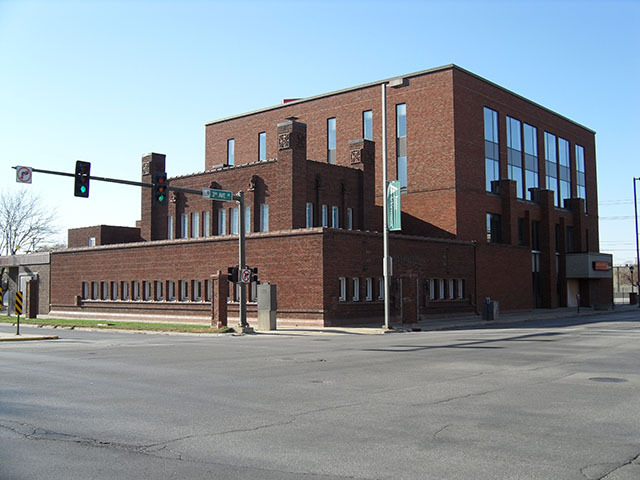 itself had formed after the Civil War (at Decatur, Illinois in 1866) as an association of veterans, an opportunity for camaraderie that ultimately identified with the political goals of the Republican Party—a party that would be considerably at odds with today’s conflicted GOP. 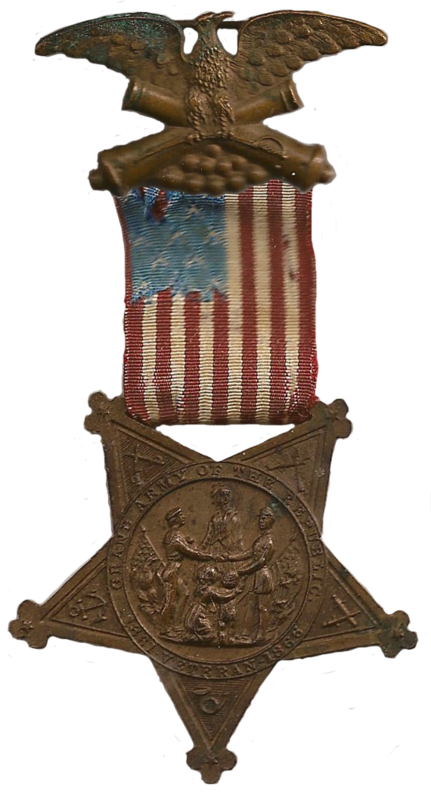 By 1890—when the organization reached its ultimate membership of nearly a half million—the G.A.R. was solidly identified with partisan politics, and political candidates had difficulty being elected without G.A.R. endorsement. The nascent labor movement and Democratic politics met in humbler quarters and even the open air [see the history of Gnostic Grove, for example]. So, in 1912 at the instigation of Amity Burroughs Flynn, widow of Agincourt’s half-term mayor Ed Flynn, several of the community’s leading citizens (and likely supporters of the Republican cause, by the way) lent pieces from their personal collections of decorative art for an exhibit intended to raise the level of aesthetic sensibility in the community at large. A complete list of the G.A.R. Exhibit has yet to be compiled, but Mrs Flynn persuaded many of the city’s “first families” to lend artwork—pieces they enjoyed each day in a casual domestic setting—for a formal month-long exhibition in a public (and some would say politically charged) venue. Mrs Flynn’s motive was noble and her use of the G.A.R. Hall may have been expeditious, but attendance as a consequence may have been less than she hoped. News coverage in The Plantagenet suggests unqualified success. Given the hyperbole and boosterism of the times, I suppose that’s to be expected. Two years later, with memory of the exhibit still fresh and Agincourt’s first public library in the early stages of planning, Amity Burroughs Flynn injected her notion of greater public appreciation for the visual arts: Why not expand the library program to include space for the ongoing display of art in all its forms? Mrs Flynn’s idea caught the imagination of the people who had responded to her 1912 initiative and changed the very nature of what had become the almost formulaic “Carnegie library” type. Her presentation to the Library Board must have been powerful; Ed would have been proud. 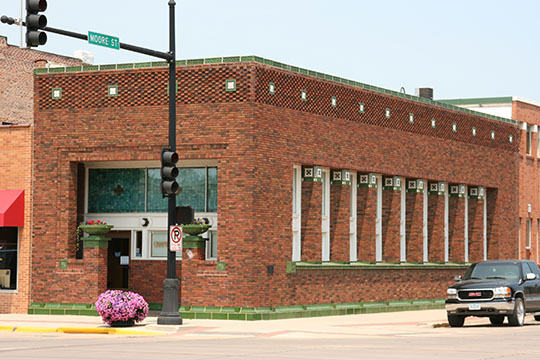 Without it, the library of 1915 and the Community Collection that it housed would likely not have come about.